Primary insurance policies provide a host of protections, but they almost always have limits to how much protection they’ll provide. For Massachusetts residents who want or need more protection, purchasing a personal umbrella policy may be appropriate. A personal umbrella policy (PUP) is a supplemental form of insurance that acts as a secondary policy. In this capacity, it serves as a backup to primary policies. Should a claim exceed primary policies’ protections, the PUP may provide additional protection. What Types of Policies Can Personal Umbrella Insurance Supplement? As long as all requirements are met, personal umbrella insurance may be used as a supplement to just about any type of primary insurance policy. Some of the most common types of policies that individuals supplement with personal umbrella protection are homeowners, auto, boat and similar personal policies. What’s the Difference Between Personal Umbrella and Excess Liability Insurance? Personal umbrella and excess liability insurance are similar in that both types of insurance are used to supplement primary policies. There are important differences between the two, though. Personal umbrella coverage normally comes with its own terms, conditions and exclusions. In some cases, their terms, conditions and exclusions are quite different from those found in primary policies. 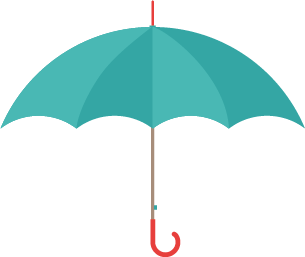 Having unique terms, conditions and exclusions often makes it possible for personal umbrella to supplement multiple primary policies at once and fill in coverage gaps left by primary policies. Excess liability insurance generally adopts the terms, conditions and exclusions of an underlying policy. Because of this, excess liability insurance typically can only supplement one policy (although it's possible to get multiple excess liability policies to supplement multiple primary policies). Additionally, excess liability insurance usually doesn’t fill in coverage gaps. How Much Coverage Does a PUP Provide? PUPs are known for providing a lot of protection at a fairly low cost. While exact limits and premiums can vary, many PUPs have limits of $1 million or more, and their premiums tend to be extremely affordable. Insurers are able to offer such high limits at low rates because these are secondary policies and less likely to have a claim filed against them. Will a PUP Cover Physical Property? Most PUPs aren’t designed to protect physical property, like houses, cars, boats or personal effects. PUPs are usually liability-only policies. Individuals who need more protection of physical property should try adjusting the limits of their current property policy. It may be possible to increase the current property policy’s limits or add on a rider. A personal umbrella policy will frequently come with specific coverage requirements that must be met by primary policies. To find the best deal on a PUP and make sure any such requirements are met, Massachusetts residents who want personal umbrella insurance should have an independent insurance agent help them find and set up a policy. An independent agent will be able to get quotes for policies from different insurers, and they can help make sure a resident’s primary policies provide all required underlying coverage.